My name is Sylly and I will be your tour guide this year. I have been a fan of sharks since I was a little girl. The fascination has never ebbed. I credit this entirely to Shark Week. I never saw sharks as monsters or “bad guys.” I cried for the shark at the end of Jaws, it was just doing what sharks do. I have passed on my sharky enthusiasm to my son and my friends children. How did an educational program become such a phenomenon? My reason is obvious, sharks. Maybe for others it is morbid fascination. A really big fish that eats people is an interesting subject. Every year there are programs about how many attacks specific species are blamed for, photos of bodies and survivor scars. The wildlife photographers have taken up a lot of the programming in the last few years trying to get “that perfect shot” of sharks flying out of the water. Who wouldn’t like to see flying sharks? Lest we forget, the actual study of sharks programs are mixed in there too. Discovery channel expeditions have discovered new species of sharks almost every year. Whether it is love of sharks, fear of sharks, desire to learn new facts about the oceans' greatest predators, or simple curiosity, people keep coming back for more. 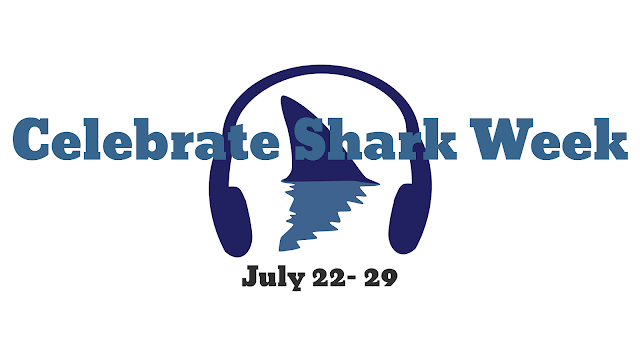 This is the 30th anniversary of Shark Week and I am sure Discovery Channel has some fantastic programming for us to sink our teeth into.